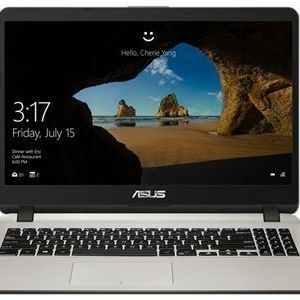 The Asus VivoBook X507 is powered by an Intel Pentium processor, which is paired with 4GB RAM and 1TB hard drive. The laptop sports a 15.6-inch nano-edge display. The laptop is also equipped with a fingerprint sensor, which comes with 360 degrees recognition and Windows hello. Check out the product here. The HP 15 comes with a 15.6-inch FHD display that offers a resolution of 1920 x 1080 pixels. The laptop is powered by an Intel Core i3 7th gen processor, which is paired with 4GB RAM and 1TB hard drive. The machine comes with pre-installed Windows 10, which means you do not need to buy OS separately. The laptop is available during the sale at Rs 26,599. Check out the product here. The Lenovo Ideapad 330 is powered by the latest 8th Gen Intel Core i3 processor. The laptop packs an 8GB RAM and 2TB hard drive. As far as the graphics card is concerned, it is equipped with a 2GB AMD Radeon 520 video memory. Check out the product here. The Dell Inspiron 3000 comes with an Intel Core i3 7th Gen processor. It has a 15.6-inch FHD display, which offers a resolution of 1920 x 1080 pixels. The laptop is pre-installed with Windows 10 as well. During the sale, it is available for Rs 25,800 down from its MRP of Rs 31,800. Check out the product here. The Acer Aspire 3 features a 15.6-inch display that offers a resolution of 1366 x 768 pixels. The laptop is powered by an Intel Pentium Silver N5000 processor, which is paired with 4GB RAM and 1TB hard drive. The machine also comes with pre-installed Windows 10. Check out the product here.